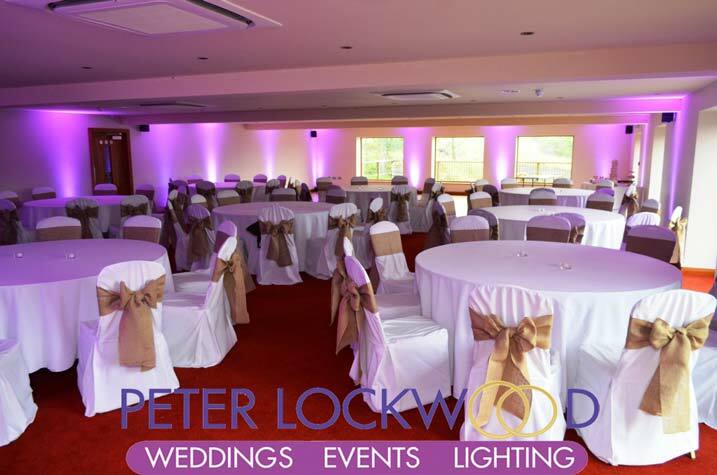 Fishermans Retreat UpLighting I have provided wedding lighting in the lovely Fishermans Retreat at Ramsbottom for many weddings and partys. 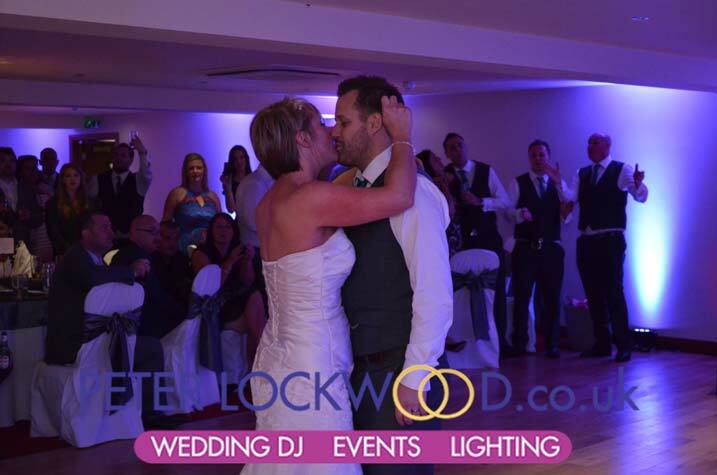 The Fishermans Retreat is famous for its fine food, selection of whiskeys all set in fantastic location all in all a top class wedding venue. 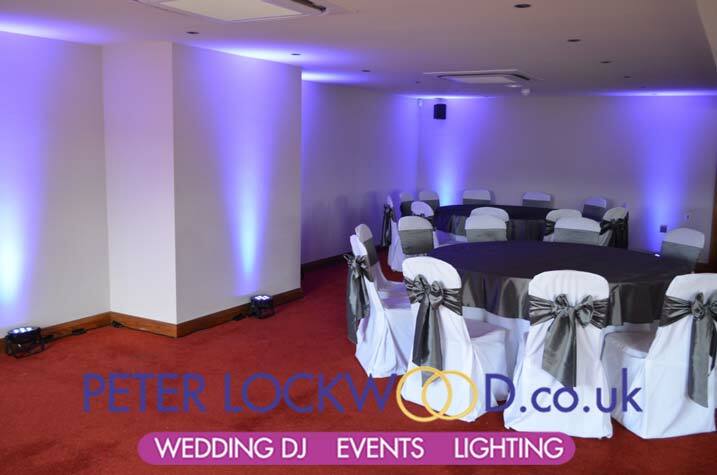 The pictures on this web page show lots of different colours both inside and outside the Ratcliffe Suite. 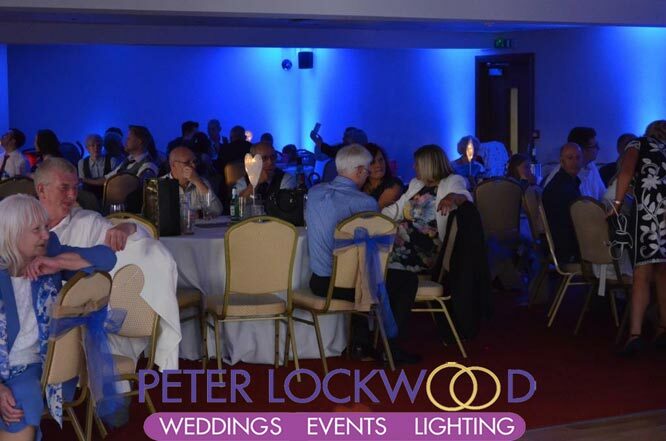 Look how vibrant the room looks with the blue or pink wedding lighting. 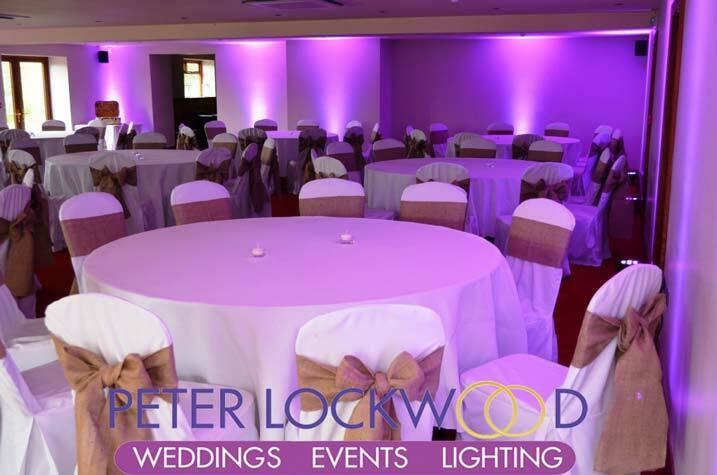 Pinkish purple wedding up lighting was Steph’s wedding colours at the Fishermans Retreat. 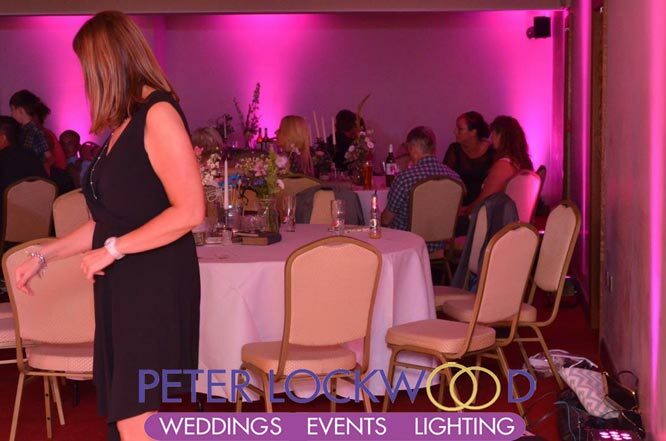 It was nice to see the venue staff ironing the tablecloths during the room setup its the little bits that make the room look great. 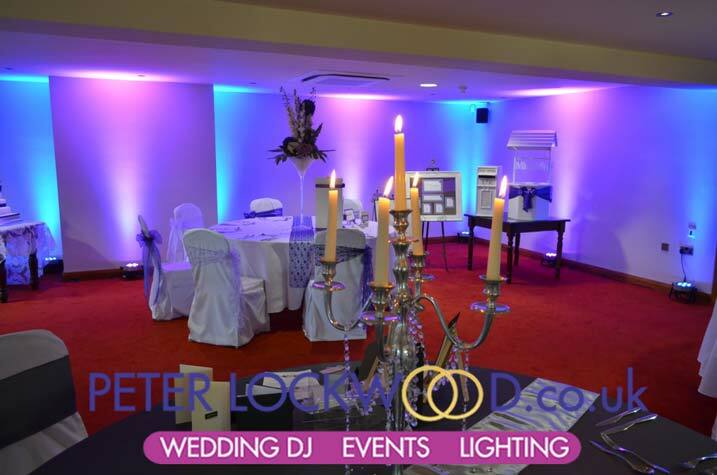 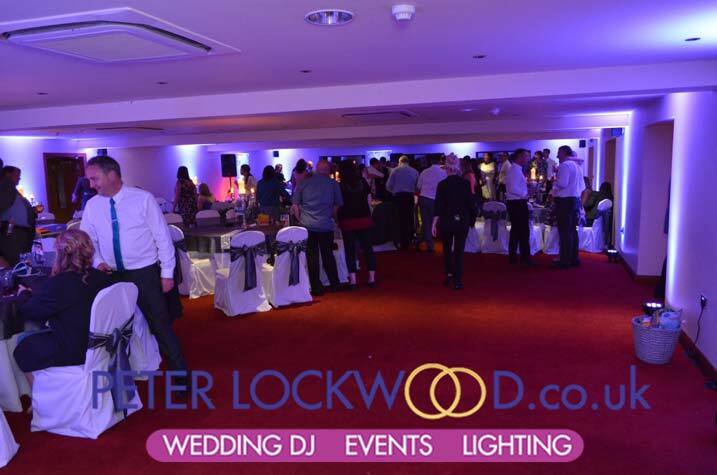 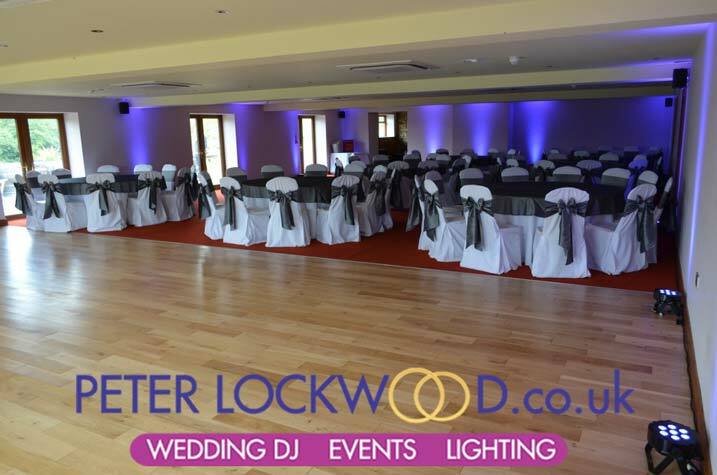 Wedding mood lighting can transform the Fishermans Retreat in to a WOW wedding venue. 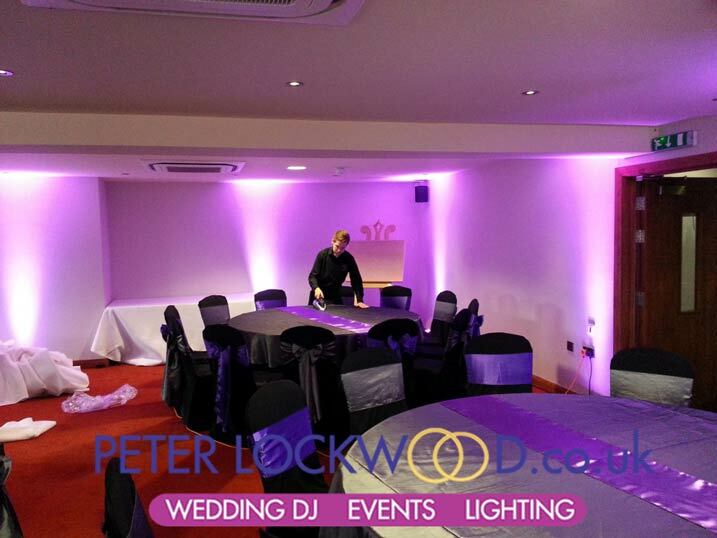 In the pictures above it shows lilac lighting in the function room. 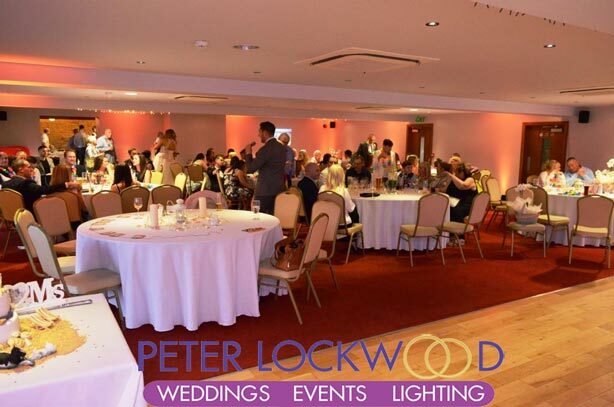 The second two pictures show the room in the daytime. 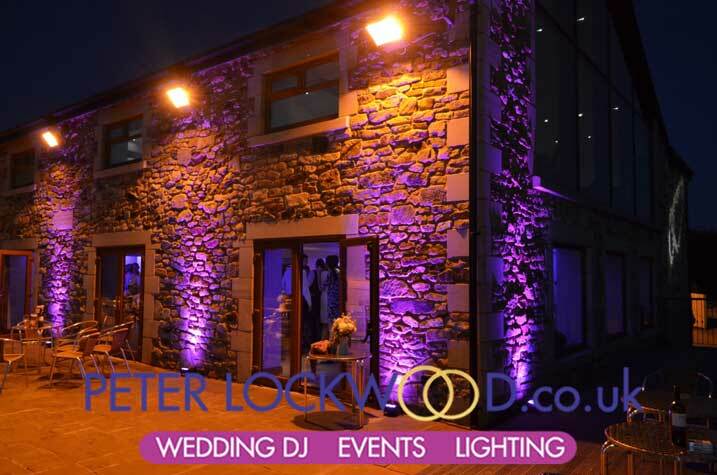 Waterproof outdoor lighting on the stone walls on the decking area looks amazing at night. 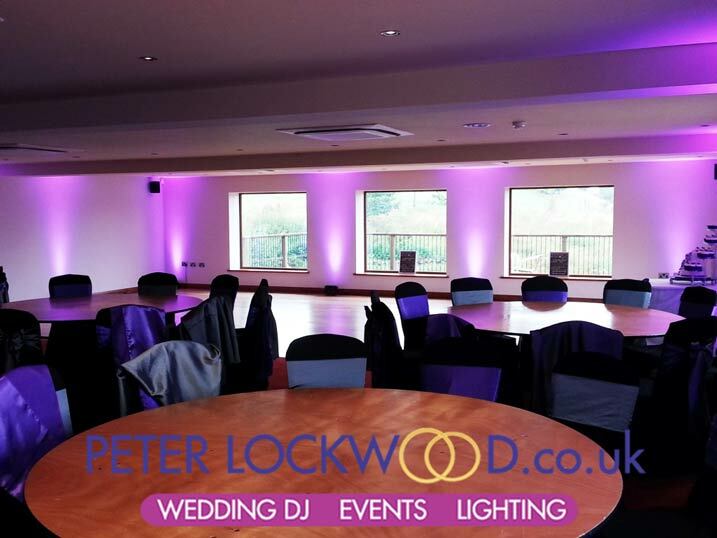 My fee for Wedding or Event Lighting in the Ratcliffe Suite at the Fishermans Retreat, Ramsbottom is £275 fully fitted on your colour and removed after. 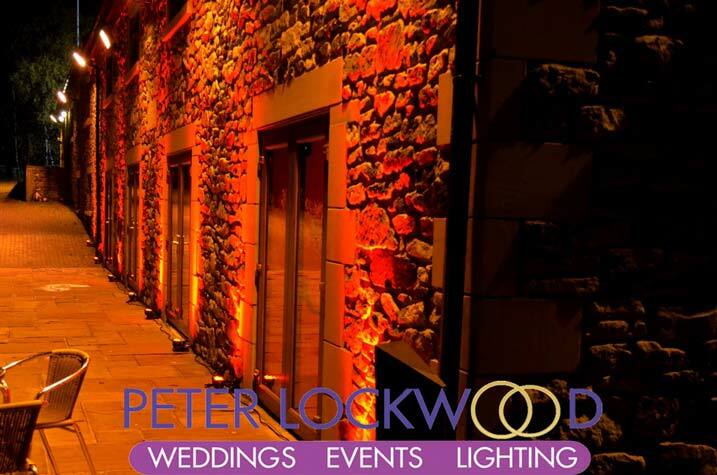 The outside lighting as so many options please get in touch for a price. 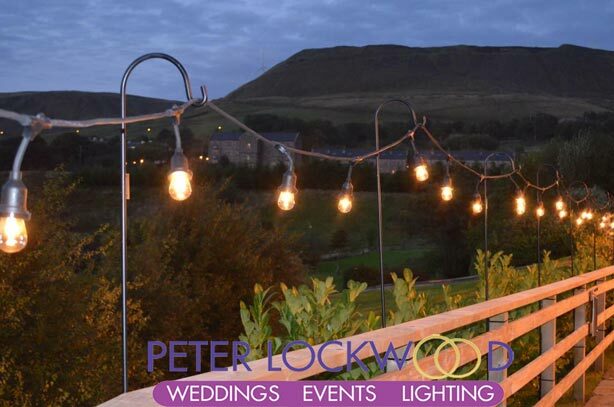 To find out more about the Fishermans Retreat please click the >link< To find out more about how lighting can make this a stunning venue pick up the phone or send me a email.